Helge Scherlund's eLearning News: The Shearin Group Training Services: Can E-learning Replace a School Day? The Shearin Group Training Services: Can E-learning Replace a School Day? shearinews writes, "E-learning has been gaining traction in some parts of the US particularly in public schools as a learning option for when weather gets so bad that schools had to suspend classes." Then students at home are supposed to use their school-issued netbooks or tablets to work on the virtual lessons and communicate with their instructors. Educational institutions have been slowly opening up to alternative routes of learning such as said online courses. And what is now termed "adaptive learning" could be leading the way of personalized and tech-driven learning process for students. Virtual lesson plans are customized to enable a student to study at home on key subjects. Ideally, they can also communicate with their teachers via Google Hangouts or Chat. It works even if there's no internet connection because the lessons are supposed to be available to work on offline. Another bonus is that students won't have to do detention for failing to submit a homework -- because of possible connectivity issues no doubt. The Shearin Group Training Services' platform enables an instructor to create adaptive and customized tutorials using any of the included coursework. For instance, once a student has demonstrated enough knowledge on a certain part of the course, the lesson can adapt by allowing him to skip through other content. On the other hand, a student who still needs more instructions based on his responses will be provided with additional resources to aid his understanding of the topic. It gained popularity last year when snow fall forced most institutions to suspend a few days of school, eventually causing them to shorten the vacation time to complete the required number of days of instruction. 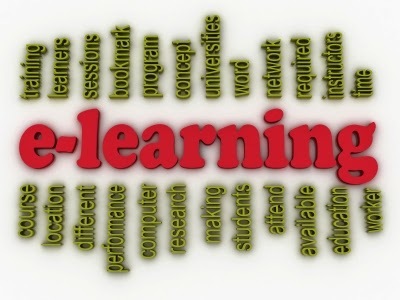 Now, there's a contention of whether e-learning should be considered as a day in class. Sure students can still do some schoolwork even when classes had to be suspended due to bad weather, but it is doubtful if they will really appreciate or follow this instead of, getting extra sleep, for example. But as The Shearin Group Training Services said, virtual lessons meant class suspensions don't have to eat up everyone's vacation time.